Dropping tomorrow (September 27th) on Man Recordings the next EP of Bavarian Bass Bouncers Schlachthofbronx will be a particular delight for all friends of Nola Bounce music. After the guys immerged into Carnival madness with the latest Mudders EP (Mixpack) now a distinct Bounce beat informs 3 out of 4 tracks on “Carimbo”. The title track is a beautiful, melodic but still bouncy, dancefloor-friendly take on the North Brasilian dance Carimbo. Originating in the region of Belém the folkloric Carimbo is typically driven by heavy percussion (by a large drum of the same name) and string instruments. It’s also one of the rhythms that laid the foundation for Lambada. 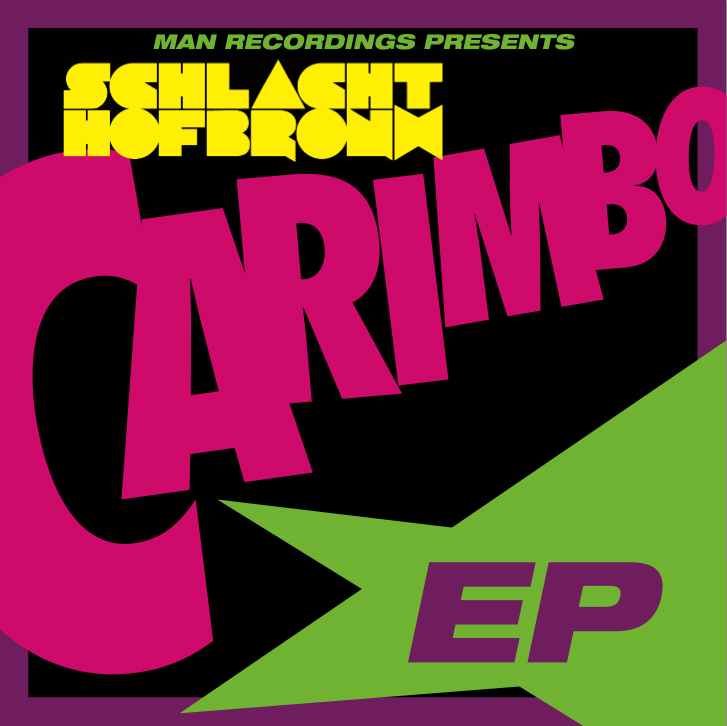 By adding a highly addictive up-tempo Bounce loop Schlachthofbronx turns the whole thing upside down and guarantees for a decent craziness on your favorite Tropical-appreciating dancefloor. The Bounce continues on “Coolie Fruit”, a collaboration with the adorable Gnucci Banana, whose abrasive chopped-up vocals inform us about her urgent need for some soup and juice. With “Yuh Mumma” you finally reach the climax of Nola-appreciation. It’s a pretty pure Bounce track, raw and in-your-face, the highly infectious, up-tempo, siren-driven beat striving towards moving everyone’s booty at the highest possible speed. Admittedly my favorite track on the EP is the only one that’s not bouncy. “Steel Kazoo” revives the sound of the steel drum in a pretty Tropical Bass-like flavor. Accompanied by the humming vibration of a kazoo (indeed) and a thumping bassdrum it’s the perfect anthem for a hot and humid night in the club. Btw, I recommend checking out the WTA Project to everyone who is interested in Bounce music. They aim for documenting New Orleans Bounce and Hip Hop in words and pictures, and they do it real good!